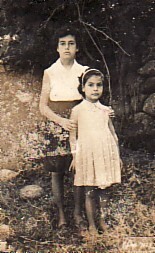 Above: With her younger sister, Ignatia (Toula). 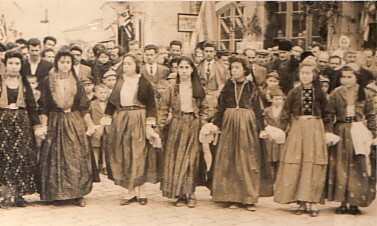 Above Right: Dancing at Independence Day celebrations; I am third from the right. Above: At the panygiri of Agios Anargiris. Standing are: Georgia Zafiriou, Maria Zahari, Alkmini Sarantou, Vetta Eleftheriou, Taxiarhoula Komninou and myself. Sitting are Zinovia Zahari and Kleoniki Sergianou. 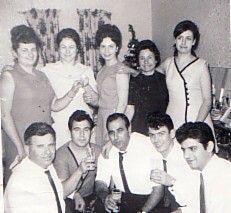 Above Right: Celebrating Christmas with friends in Narrabran. 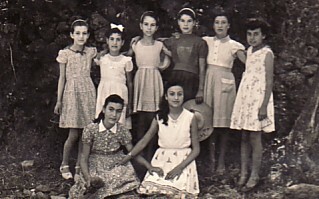 My husband, Modestos, is sitting second from the right, and next to him is Nikos Demosthenos. I am standing on the right. 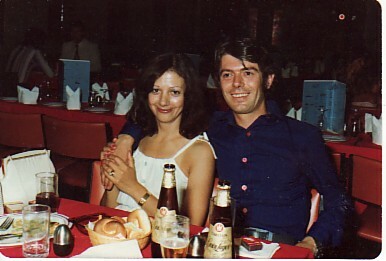 Above: With my husband, Modestos.